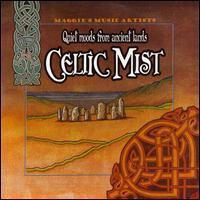 Comments: This CD contains some amazingly relaxing Celtic Music. The song Mna Na Heireann (Women of Ireland) is a track that is in Russell Crowe's Robin Hood when Robin Longstride and Marian dance at the harvest feast in front of the fire. Want to write a review about Al Petteway's Celtic Mist album? Post your comments in this box to be displayed in our community forums and in our album database! Please make sure you are logged in before proceeding. Please login to write your comments about Celtic Mist.